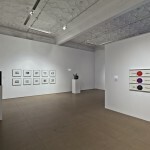 Absalon, Heike Baranowsky, Jack Goldstein, Cao Guimarães and Rivane Neuenschwander, John Massey, Jonathan Monk, Bruce Nauman, Berndnaut Smilde. 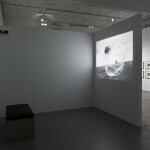 Taking its name from a piece of weather lore, the exhibition puts into conversation artworks that contend with atmospheric effects and environments—whether the austere solo living systems in Absalon’s Propositions d’habitation, or the abstraction of the sky into the printed page in Bruce Nauman’s LAAIR, or the reverie of a bubble in an infinite float in Cao Guimarães and Rivane Neuenschwander’s Inventory of small deaths (blow). 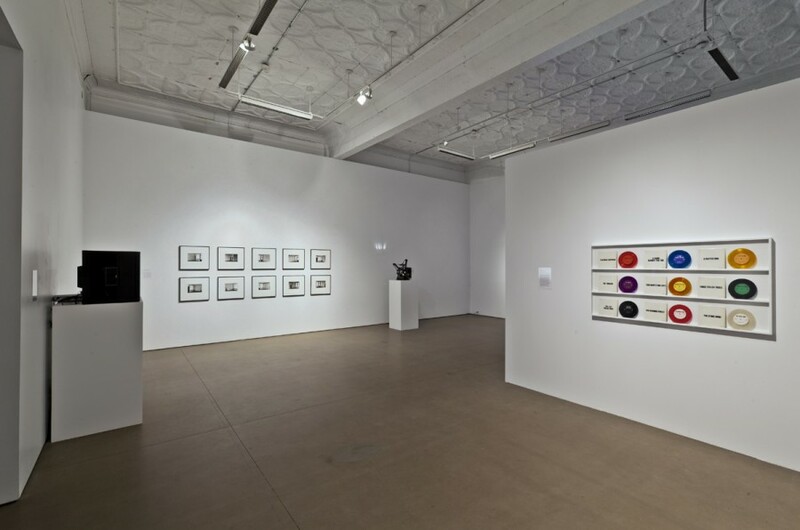 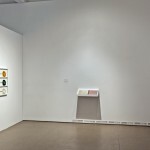 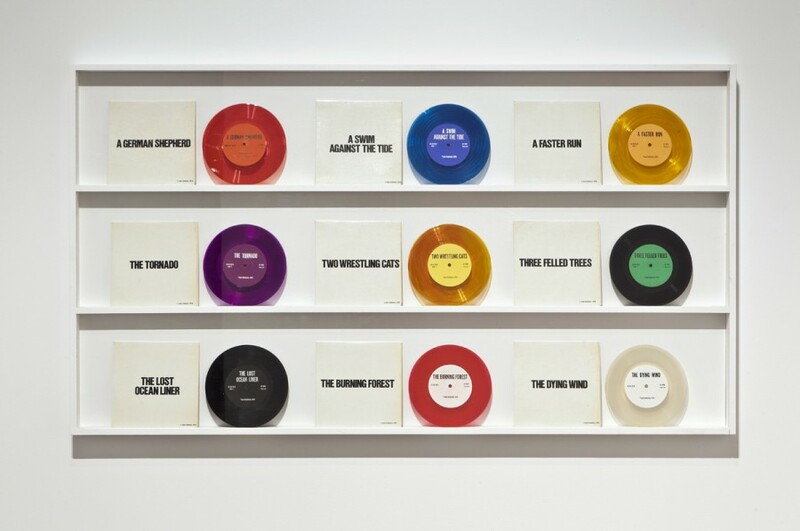 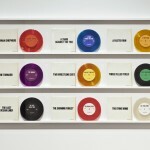 A complete set of Jack Goldstein’s 45rpm sound effect recordings form an important context in the exhibition, including The Tornado, pressed to purple vinyl in order to signal the ominous sky of an impending storm. 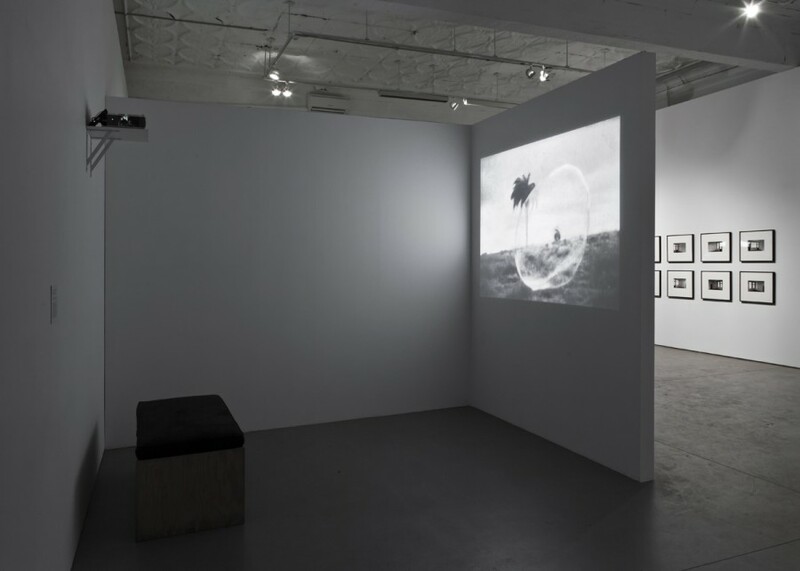 Jonathan Monk trains a 16mm camera on the very same Goldstein record, capturing it in the cyclone of its turntable play, yet suppressing the sound to render The Silent Tornado (for Jack Goldstein). 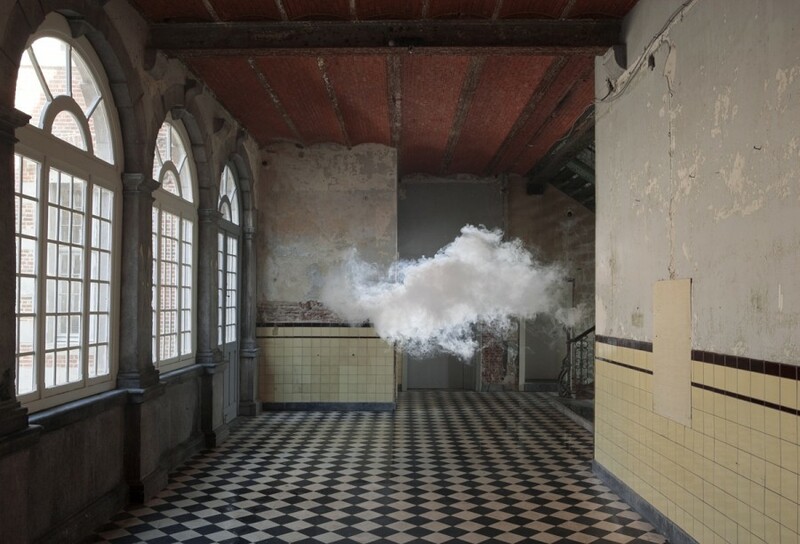 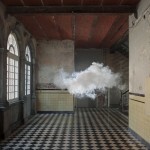 For the photograph Nimbus D’Aspremont, Berndnaut Smilde uses smoke, moisture and spot lighting to manufacture an indoor cloud that lives momentarily suspended in a surrealist wish fulfillment. 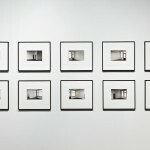 John Massey’s photo series Twilight’s Last Gleaming is exemplary of his longstanding interest in enclosed spaces. 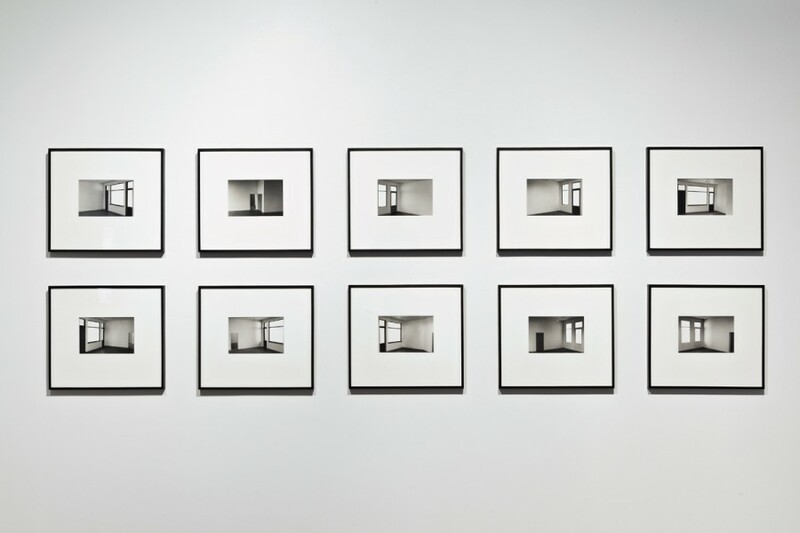 Based on a scale model of an interior setting, the resulting image frames a situation of contained existence analogous to consciousness. 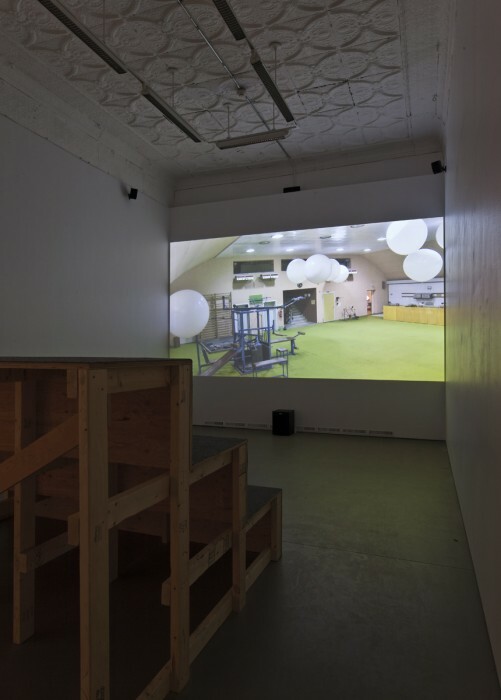 In Heike Baranowsky’s Barometer (i), we are immersed in a specialized low pressure room built during the GDR era for training high performance athletes. 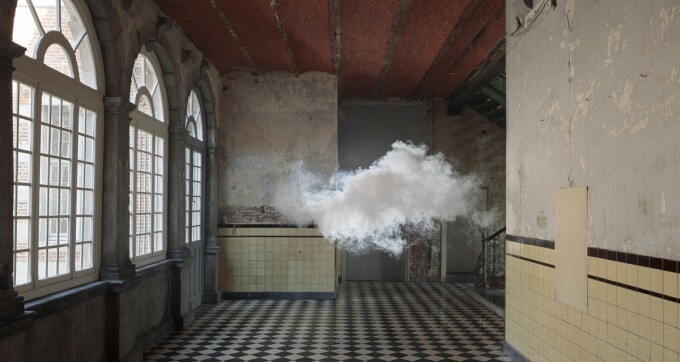 Though the site was decommissioned after the Cold War, it was never dismantled. 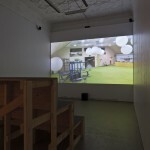 The room’s promise is reactivated by Baranowsky’s insertion of weather balloons, which probe the space in a long duration video loop. 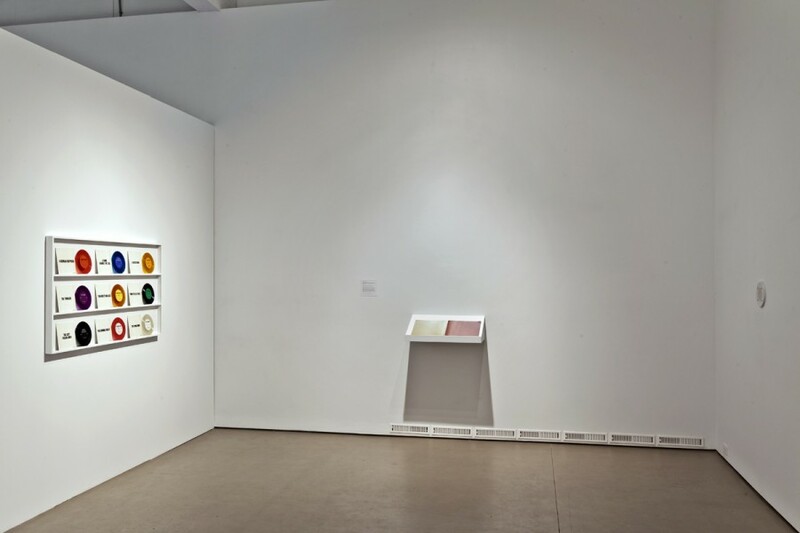 Together the works form their own set of environmental conditions, triggering experiences of a familiar sort: the observation of time in weather events and the precise moods cast by interior shelters, their own contained atmospheres.